A must see! Delightful 3 bedroom, 2 bath home in Squaw Valley with lovely landscaping. This beautiful home has a sunny master bedroom upstairs with A gorgeous view from the deck. Two bedrooms and one bath downstairs along with an office/family room. Completely remodeled chef’s kitchen, bathrooms, and new flooring throughout. The oversized 3-car garage is a car enthusiast’s dream complete with ample cabinet and full-car-lift. A perfect area to work on your dream car in an immaculate setting. 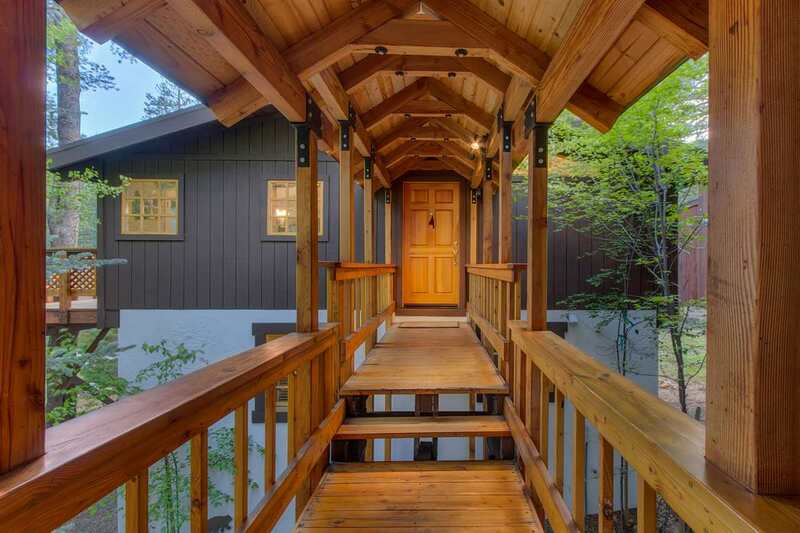 Located five minutes to the internationally renowned Squaw Valley mountain ski resort, nearby paved bike trails and hiking. A year-round oasis for the outdoors family and unwinding with a glass of wine no matter the season!